The 9th meeting of the International Society for the Study Of Individual Differences was held at the Coast Plaza Suite Hotel at Stanley Park in Vancouver, British Columbia, Canada. The conference began on July 5th with the welcome reception starting at 4:30 p.m. Paper, poster, symposia and plenary sessions were held throughout the day on July 6th, 7th, 8th, and 9th. The banquet was held on July 8th, starting at 6:00 p.m. A joint session of ISSID and the 29th annual meeting of the Behavior Genetics Association (BGA) was held on the morning of July 7th. This half-day session was composed of symposia and paper presentations of mutual interest to and presented by members of both societies. The BGA meeting itself ran from July 3rd to July 7th at the Coast Plaza Hotel. 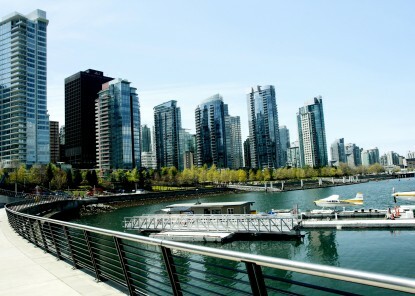 Vancouver is situated on the coast of British Columbia, nestled between the Rocky and Coast mountain ranges and the Pacific Ocean, and is a popular resort and tourist destination. Vancouver has been consistently been named one of the best cities to live in North America and is known for its natural beauty. The Coast Plaza Hotel is located next to the warm beaches of English Bay harbor (a two minute walk from the hotel) and Stanley Park consisting of five square miles of old growth forest in the heart of downtown Vancouver. Mountain hiking or sailing excursions are no more than an hour away from the hotel. Nearby attractions include Vancouver Island and Victoria a few hours away by ferry. The climate in July is warm and sunny, average temperature being 26C. All major airlines and their partners fly direct to Vancouver International Airport.